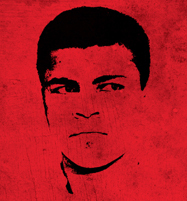 Review: The Trials of Muhammad Ali / It's Just Movies Review: "The Trials of Muhammad Ali"
“The Trials of Muhammad Ali” will make you laugh, cry, cringe in embarrassment and cheer at the end. The latest in a series of (too) many Ali films, Bill Siegel’s peon to the puncher also walks the thin line between exploitation and exhilaration. In the end, exhilaration wins out. 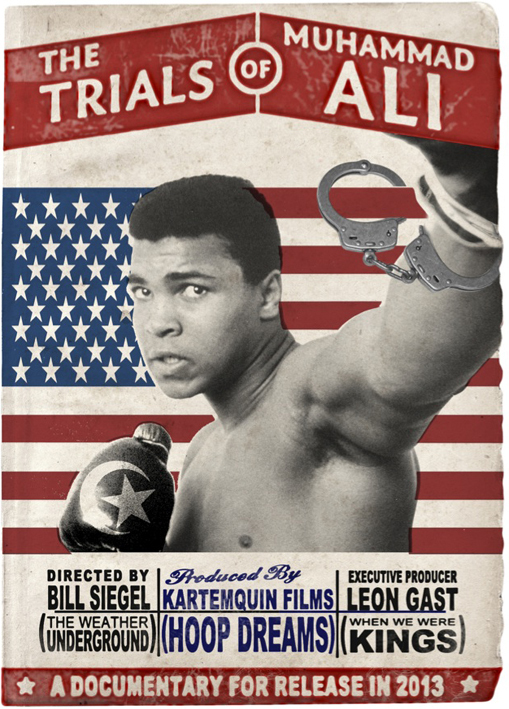 The centerpiece of the movie is Ali’s political maturation, his association with the Black Muslim movement and his trial for draft evasion which went all the way to the Supreme Court. There are a few shots of his fights and his political story is told in the context of his affirmation as the world’s greatest boxer. However, the focus of this story is clearly on the political Ali. The film begins with gruesome shots of the lynchings of black men in post war America. Among other things, this film will appeal to history buffs as a very good reconstruction of the violent years of racial struggle during the ‘50s and the ‘60s. It was from this environment of domestic terror and racial oppression that the young Olympic champion Cassius Clay would spring to win seven consecutive Kentucky Golden gloves championships before launching his ship in the direction of the world professional boxing championship. 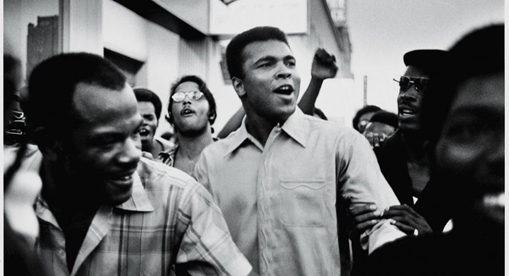 After the Olympics, in an act that is almost unbelievable today, Ali turned his career over to a group of about nine white Kentucky businessmen. In the present day, and especially in light of his later rejection of white society, this is an astounding turn of events. There is only one surviving member of that august group and he is interviewed in this film. His memories and opinions are as articulate and crisp as they are warm and reverent. He knew Ali when all the kid wanted was to be associated with “clean” people and lead a decent life. As it turned out, America had other plans. When the clip of George W. Bush Ali the Presidential Citizens Medal in 2005 flashed on the screen there was hardly a dry eye in the audience. Ali, suffering from advanced Parkinson’s syndrome to the point where he could barely stand, had passed into American cultural sainthood. He had come full circle from being denounced and called every despicable name David Susskind could think of to being patted on the back by the president. The film is complete with great clips of Malcolm X and the other leaders of the black movement and the Supreme Court justices who first convicted him and then reversed their own decision and acquitted him of draft evasion after his refusal to serve in the, now, universally decried Vietnam War. In the end, this is not so much a film about Ali as it is a film about standing up for all of our civil rights and being willing to take the major risks that are required to defend our freedom from an oft times borderline Fascist American government. Many people still brand Ali as a braggart and a loudmouth. However, it must be remembered that when he spoke out he did so against a torrent of condemnation that few Americans will ever know. There were seldom many people in Ali’s corner and, even more-so than Sinatra, he did it his way. Wilkinson has once again written an outstanding review. Muhammad Ali was just as adamantly aggressive and self-confident in the ring as he was on self-respect and the greater moral values. His uncompromising position against bigotry and conscription are examples to revere throughout time.